A lot of people do not realize how important their Mini Cooper Key Replacement or spare is until such time when they encounter issues and need a spare. If you need some Mini Cooper Keys Made in Austin Texas, call Bobcat Locksmith at 512-954-5025, we can make it onsite 24-7, to save you costs versus a dealership, and no need to tow your car. There are some people who actually look for a valid spare key even if their main key is working. They know that they need the spare for emergency situations and they just want to be prepared. A lot of people are confused with how another key can be obtained. There are different types of keys available depending on the type of model that you have. Gone are the days when the keys are very basic and just need to contact your local locksmith in order to cut a new key that will be the same with the one that you have lost. Basic Car Key – This is the type of car key that a lot of old models use. If you have an old model of Mini Cooper, this is the type of key you probably have. In order to increase the security of your vehicle, you can install an alarm on your vehicle. Car Key Remote – This is a type of key that will unlock your car when you press the right buttons. This will work with the use of a battery. Press the right button so that the car’s alarm system will be disabled when you enter. Transponder – This is known to be one of the safest types of car keys that you will find right now. This comes with a transponder chip at one portion of the key. The key will send a unique code to your vehicle so that the vehicle will know if it should unlock or not. You will know that this works because if you try to use the same key in order to open a different vehicle but the same model, it will not open. Remember that there are still different types of car keys that are available but the above-mentioned keys are the common Mini Cooper car keys that you may encounter. What to Do When You Lose Your Car Key? It can be particularly problematic when something happens to your car keys and you do not know what to do about it. You cannot just stand outside your Mini Cooper and wish that it is going to unlock on its own because it won’t. You have different options available so that you can access your vehicle. The most recommended option is to find the right locksmith that will help you out. 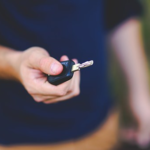 A trusted locksmith is available even in the wee hours of the morning and can provide the type of service you need in order to get a replacement for the car key that you have lost. 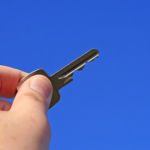 You can purchase a second-hand key online – There are some online websites that offer second hand keys. This may work for certain types of keys and Mini Cooper models but for high-tech and modern keys, this may not be as effective. You can always check depending on the model that you have. There are also some that are being sold per set so you will have more options. If you cannot find the perfect match, this is not the best option for you. Get a key from the dealer. This may be the most obvious option but this is also one of the most expensive options available. 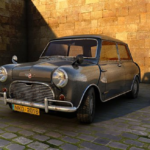 This involves contacting Mini Cooper and giving all of the needed details about your vehicle. The key will most likely cost around $200. Be prepared to provide all of the needed documents that will prove your ownership of the vehicle. Contact an auto locksmith that will be able to work on the key replacement for you. Do not underestimate the abilities of the locksmiths that you have within the area. You will be pleasantly surprised with what they can provide and offer. You have to be specific about the type of car key that you need so that they can bring all of the required items before they meet up with you. If you do not use the traditional key anymore, you need to reprogram the key that you will use on your car. If you are working with your car dealer, you will be given instructions on what you should do. You can also hire the services of a locksmith to help you out. If it is the locksmith that has provided the spare key, you can get their extra services by letting them program the key so that your vehicle will be able to recognize the new key. Take note that this key may be your spare key or it may also be your new key when you have already lost your original key. Let us say that you have decided to go with a used Keys made. Make sure that it will work well for your vehicle. It should not be a key that sometimes works and sometimes does not. It has to be the perfect fit. If you need to do a bit of tweaking to make this possible, make sure that you hire Bobcat Locksmith that can make this work for you. Some keys sold online are meant to become keys so take note of these keys too. With all of the things that you have learned about keys, are you more aware of the process that you should do in order to get the key that you have always wanted? Bobcat Locksmith will always provide the help that you need. Call us 512-954-5025. Acura key replacement, Audi key replacement, Buick key replacement, Cadillac key replacement, Chevrolet key replacement, Chrysler key replacement, Dodge key replacement, Ford key replacement, GMC key replacement, Honda key replacement, Hummer key replacement, Hyundai key replacement, Infiniti key replacement, Isuzu key replacement, Jeep key replacement, Kia key replacement, Lexus key replacement, Lincoln key replacement, Mazda key replacement, Mercedes key replacement, Mini Cooper key replacement, Smart fortwo key replacement, Mercury key replacement, Mitsubishi key replacement, Nissan key replacement, Pontiac key replacement, Saab key replacement, Saturn key replacement, Subaru key replacement, Suzuki key replacement, Toyota key replacement.